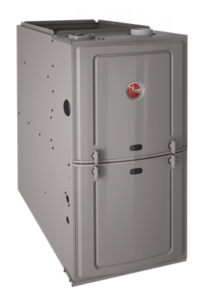 The EcoNet™ Enabled Rheem Prestige™ Series Modulating R97V Gas Furnace is ENERGY STAR® qualified, offering one of the highest efficiencies available today. Monthly utility bills go down, and you stay comfortable all year long. 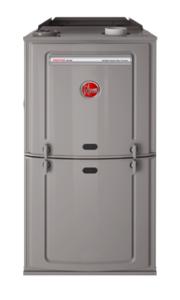 The EcoNet™ Enabled Rheem R96V Prestige™ Series Gas Furnace is ENERGY STAR® qualified, offering one of the highest efficiencies available today. Monthly utility bills go down, and you stay comfortable all year long. 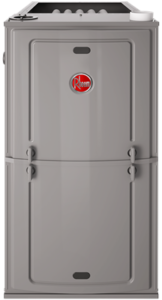 Rheem’s R92P Classic® Series Gas Furnace offers comfort you can count on, plus energy saving features that make a real difference on your monthly utility bills — making your wallet more comfortable, too. 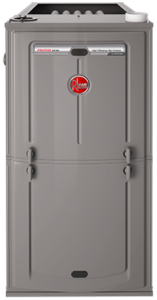 The EcoNet™ Enabled Rheem Prestige™ Series Gas Furnace was designed with industry-exclusive features for years of worry-free comfort. It’s also quiet, so you can stay focused on what matters most. 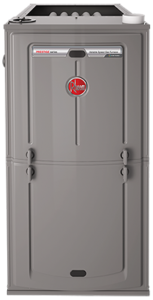 The Rheem Classic Plus™ Series Gas Furnace was designed with industry-exclusive features for years of worry-free comfort. It’s also quiet, so you can stay focused on what matters most.